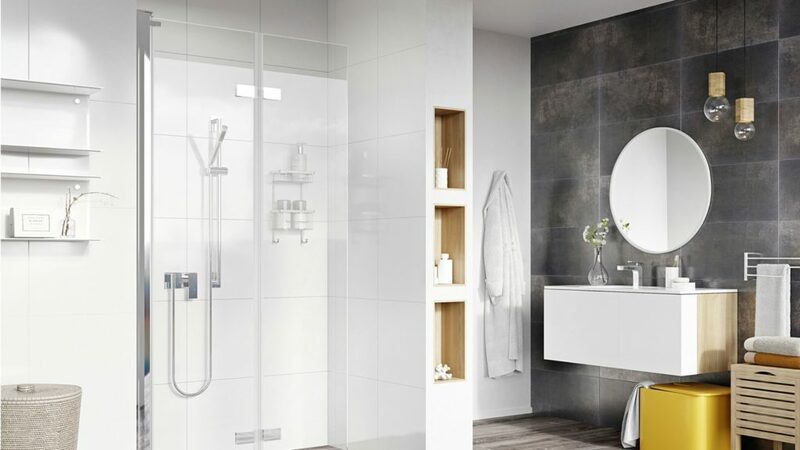 Showering manufacturer Roman has added the Bi-fold Wetroom Panel to its Innov8 collection. The panel folds back against the glass and then folds again straight to the wall, allowing for access into the showering area. It is designed to work in large and small alcove spaces and has the top and bottom rail removed so is frameless, offers a level access and has no height restrictions. Standing at 1967mm high, it is made from 8mm thick glass and comes with chromed brass hinges, chromed brass top caps and clear seals. The Bi-Fold Wetroom Panel can be installed straight to the floor, using the Roman Shield Wetroom System. Roman recently added a curved wetroom panel and Colossus wetroom panel with towel rail to its portfolio.